Each Saturday and Sunday between 11:00 and 17:00 come to the Adamson Restaurant or Bar to enjoy a fabulous brunch experience. It is a great way to relax with friends after a lazy morning. 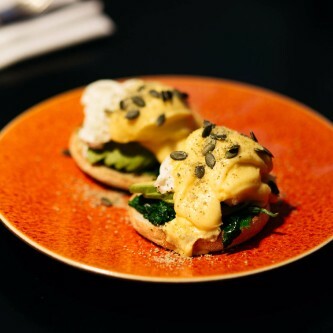 Our scrummy brunch menu includes caesar salad, sweet chilli mayo, eggs benedict, royale and florentine, steak sandwich, smoked haddock risotto, chicken salad and pancakes. What a treat and a perfect choice for brunch location in the heart of St Andrews.